We're inviting more than 300 of the brightest students in the area to come together to create awesome software and hardware projects within 24 hours. We'll then judge the projects at the end of the event for prizes! We'll provide the food, resources, swag, and mentorship, all for free, to fuel you for the duration of the event. You'll hear cool tech talks and meet amazing guest speakers from the top tech startups and companies in the world. The only thing that we need from you is a will to learn! We hope to see you there! Any high schooler can participate! If you're starting college in the fall, you can participate, too! Submit your hack with your team members' names. Write a small blurb about what your hack does and how you made it! 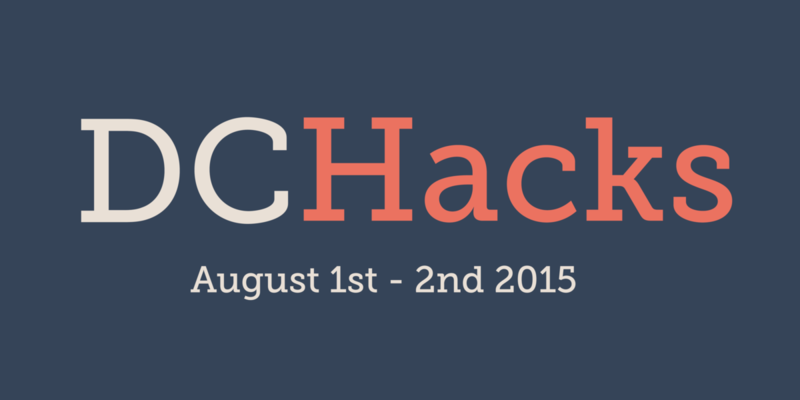 You are only eligible to participate if you registered for DCHacks.